FIRST Destination: Deep Space is the 2019 FIRST Robotics Competition game set on a 27 feet by 54 feet field. The two teams of three robots compete to grab disk shaped “hatch” panels to place on a “rocket” or a “cargo ship”, then place “cargo” kickballs afterward. In the first 15 seconds of the game, a sandstorm, or black curtain, is lowered in front of the drive teams, instead of the autonomous periods in past years. At this time, teams can control the robot using visual feedback from the robot and its cameras and sensors. After the initial sandstorm, the curtain is then raised for the tele-operated period. 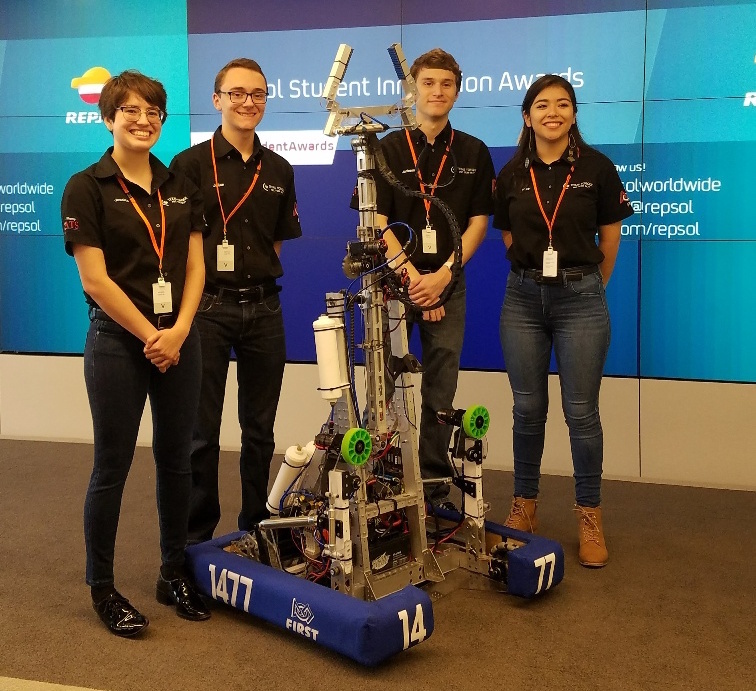 In the last 20 seconds of the match, teams return their robots to the habitat platform and scale different levels of steps to gain additional points. This years game is full of exciting strategies, making it an interesting and fun game for everyone to participate in and watch! 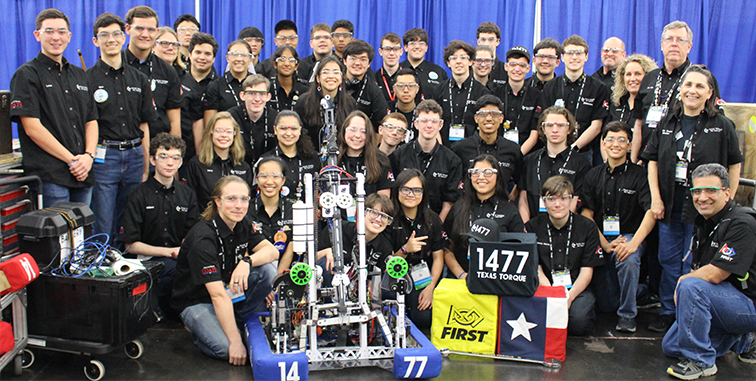 Texas Torque: Team 1477 is proudly powered by WordPress and BuddyPress. Just another WordPress Theme by Themekraft.